Westide Ann Arbor, Michigan. Old Westside Historical District. Ann Arbor may be known for its distinct downtown districts and as the home of the University of Michigan, but its Westside is another area full of diverse culture, rich history, fine dining and quality public schools. It’s an ideal place to raise a family while being walking distance from all the action and excitement of downtown as well as the University of Michigan campus. The homes for sale in Westside Ann Arbor come in a variety of styles, most of which were built around the turn of the century and are available at a wide range of prices to fit anyone’s budget. Westside Ann Arbor has a rich history that can be seen in its Old West Side Historical District, which was listed on the National Register of Historic Places in 1972. The homes in the Old West Side are an eclectic mixture of styles, with each home having its own unique history. You can find anything from Italian-style villas to New England colonials to gothic cottages. The best part is that you won’t have to spend a bundle to get your dream home in the highly desirable area of Westside Ann Arbor as you can find many homes under $300,000 and some under $200,000. You get much more than a valuable home when you decide to live in Westside Ann Arbor. The Westside hosts its own special events, like Old West Side Week and the Children’s Festival, which is held every year at Wurster Park. The Old West Side Association keeps residents informed with its newsletter and at its neighborhood meetings as well. Living in Westside Ann Arbor allows you to feel like an integral part of a progressive community where people actually know their neighbors. With the University of Michigan and its award-winning academic programs right next door, residents of Westside Ann Arbor know that their kids are in good hands after high school, but what about before? The Westside area has some award-winning public schools as well, like Pioneer High School, which won the Silver Medal from the U.S. News and World Report in 2010 for being one of the nation’s best high schools. Eberwhite Elementary and Slauson Middle School are also in the area and pride themselves on providing quality educations to the youngsters of Westside Ann Arbor as well. Downtown Ann Arbor is known for its fantastic array of delectable cuisines, but Westside Ann Arbor has its own lineup of top notch restaurants and shopping venues. 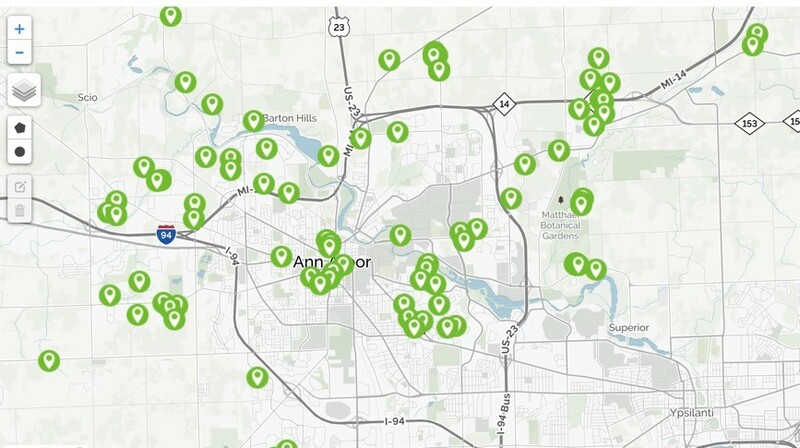 Ann Arbor’s Westside features over 70 restaurants with local flavors and national chains. Its shopping scene includes large centers and stores as well as local boutiques, so whether you are looking for brand name apparel or some local art and antiques, you won’t have to go far to find it. Then there’s the best of both worlds with the Westside Farmer’s Market, which runs every Thursday, June-September. If you are looking for a family-friendly area to buy a home and still want to be close to a bustling downtown scene and all of the popular events that it hosts, then Westside Ann Arbor is for you.